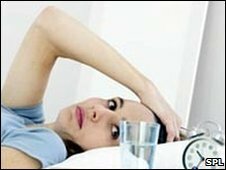 They said people regularly having such little sleep were 12% more likely to die over a 25-year period than those who got an "ideal" six to eight hours. But while a lack of sleep may be a direct cause of ill health, ultimately leading to an earlier death, too much sleep may merely be a marker of ill health already, the UK and Italian researchers believe. Professor Francesco Cappuccio, leader of the Sleep, Health and Society Programme at the UK's University of Warwick, said: "Modern society has seen a gradual reduction in the average amount of sleep people take and this pattern is more common amongst full-time workers, suggesting that it may be due to societal pressures for longer working hours and more shift-work. "On the other hand, the deterioration of our health status is often accompanied by an extension of our sleeping time." If the link between a lack of sleep and death is truly causal, it would equate to over 6.3 million attributable deaths in the UK in people over 16 years of age. Prof Cappuccio said more work was needed to understand exactly why sleep seemed to be so important for good health. Professor Jim Horne, of the Loughborough Sleep Research Centre, said other factors may be involved rather than sleep per se. "Sleep is just a litmus paper to physical and mental health. Sleep is affected by many diseases and conditions, including depression," he said. And getting improved sleep may not make someone better or live longer, he said. "But having less than five hours a night suggests something is probably not right. "Five hours is insufficient for most people and being drowsy in the day increases your risk of having an accident if driving or operating dangerous machinery."